The third week of September is Balance Awareness Week! This month also marks the start of the season for America’s favorite sport...football. Therefore, I thought it would be fitting to discuss a common balance related issue among athletes - concussions. Concussions are highly prevalent, especially among the athletic population. However, information on concussions and evidence about appropriate treatment options has evolved over the years, leaving many of us confused as to what to do when someone we know is affected. Fortunately, we know much more about concussions today than we did 10 years ago. 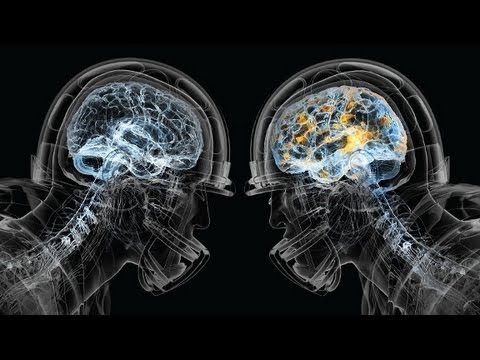 Let’s review some of the background on concussions, signs and symptoms, and current treatment practices. What exactly is a concussion? Whether you’re a professional football player or a parent concerned about your child, concussions can occur at any moment. If you notice any of these symptoms following a bump to the head, remember that it is important to get assessed by a healthcare professional as soon as possible to ensure optimal recovery. Cypress Center physical therapists specialize in vestibular evaluation and treatment as well as CST. We also have skilled acupuncturists ready to assist in the treatment of any residual deficits following a head injury. Kozlowski K. Exercise and Concussion, Part 1: Local and Systemic Alterations in Normal Function. International Journal Of Athletic Therapy & Training [serial online]. March 2014;19(2):23-27. Available from: SPORTDiscus with Full Text, Ipswich, MA. Accessed September 6, 2017..
Laura Morris. Mild Traumatic Brain Injury. Presented at: Elmhurst Memorial Healthcare; June 2017; Chicago, IL. Lau BC, Kontos AP, Collins MW, Mucha A, Lovell MR. Which on-field signs/symptoms predict protracted recovery from sport-related concussion among high school football players? The American journal of sports medicine. 2011;39:2311-2318. Leddy JJ, Sandhu H, Sodhi V, Baker JG, Willer B. Rehabilitation of Concussion and Post-concussion Syndrome. Sports Health. 2012;4(2):147-154. doi:10.1177/1941738111433673. Schmolesky MT, Webb DL, Hansen RA. The Effects of Aerobic Exercise Intensity and Duration on Levels of Brain-Derived Neurotrophic Factor in Healthy Men. Journal of Sports Science & Medicine. 2013;12(3):502-511. Molly Parker. Mild Traumatic Brain Injury: how to identify and treat concussions with compassion. Presented at: University of St. Augustine; November 2016; San Marcos, CA. Gergen DM. Management of Mild Traumatic Brain Injury Symptoms in a 31-Year-Old Woman Using Cervical Manipulation and Acupuncture: A Case Report. Journal of Chiropractic Medicine. 2015;14(3):220-224. doi:10.1016/j.jcm.2015.08.006. Biçer M, Bozkurt D, Aktaş İ, et al. The clinical efficiency of acupuncture in preventing migraine attacks and its effect on serotonin levels. / Akupunturun migren ataklarının önlenmesinde klinik etkinliği ve serotonin düzeylerine etkisi. Turkish Journal Of Physical Medicine & Rehabilitation / Turkiye Fiziksel Tip Ve Rehabilitasyon Dergisi [serial online]. January 2017;63(1):59-65. Available from: SPORTDiscus with Full Text, Ipswich, MA.